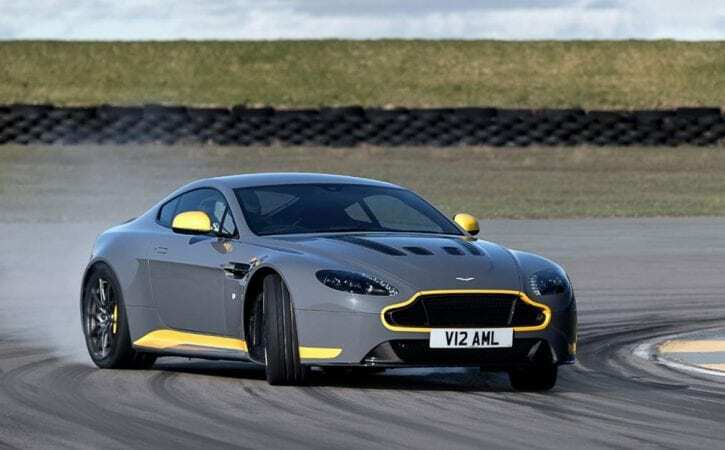 Aston’s 563bhp V12 Vantage S sports car gets manual box for first time as part of revamp. Aston Martin claims this refreshed V12 Vantage S is the model to satisfy performance car purists, as it’s available with a manual gearbox for the first time. The new seven-speed unit is being offered as a no-cost option on the coupe and Roadster versions of the sports car, which also get a string of interior and exterior tweaks to justify the ‘2017 model year’ tag. The 6.0-litre V12 engine remains unchanged with 563bhp – enough to take the coupe from 0-62mph in 3.9 seconds, regardless of whether you specify the new manual box or Aston’s Sportshift automatic. The V12’s manual has a dog-leg first – a similar layout to those used in motorsport, where that gear is only used for starts. In addition, the gearbox features AMSHIFT, Aston’s electronic set-up that blips the throttle automatically on downshifts and, unusually, facilitates full-throttle upshifts for maximum acceleration. The V12 Vantage gets a new optional Sport Plus Pack, which brings five different body colours and contrasting accents on elements like the grille surround, door mirror caps and side sills. Ten-spoke graphite alloys and a choice of black or grey upholstery are also included as part of the Sport Plus package. The V12 and its baby brother, the V8 Vantage, get a much needed upgrade to their infotainment systems, too. The new AMi III set-up incorporates Apple CarPlay and includes a faster processor for quicker route planning on the built-in sat-nav. The new models will go on sale in the summer, with first deliveries of the V12 Vantage S in autumn. Prices should remain broadly unchanged, with a standard edition of the coupe costing around £140,000.